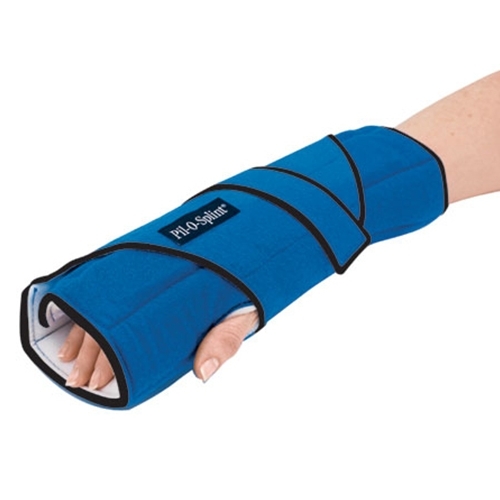 IMAK Pil-O-Splint from HealthyKin.com is the most effective nighttime splint for the treatment of Carpal Tunnel Syndrome. It provides proven, non-surgical pain relief for people who suffer from CTS and other Repetitive Stress Disorders. The Pil-O-Splint was invented by Ian MacMorran, M.D., an orthopedic and hand surgeon and co-founder of IMAK, to relieve wrist and forearm pain during rest and sleep. "Pil-O-Splint has provided my patients with comfortable and therapeutic relief, and for many, their first pain-free sleep in years." I was scheduled for carpel tunnel surgery and came across this product on the internet. I thought I would give something 1 more try and ordered 2 of them. That was over 2 years ago and I have not had to have the surgery and I am simptom free as long as I continue to wear these to bed at night. I have used 2 other products and this one has helped the most. Much relief from my carpal tunnel and relief from sleeping with my head on my hand. Have made a big difference at night. Better sleep. No painful hands.